No Audible Words, This is not a Hypnosis CD, it is a Subliminal CD, and Words are beneath the audible perception of the conscious mind. 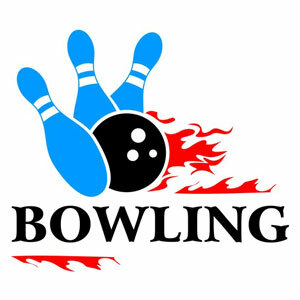 This MP3 is not intended to teach you to bowl; we are assuming that you already have a reasonable grasp of the game. This recording is intended to help bowlers who have reached a bowling average plateau or bowlers who score 120 one week and 180 the next. This subliminal Mp3 can improve your average and consistency! I am a great bowler. I find bowling easy. I am always accurate. I concentrate easily. Every day my bowling skills improve. Accuracy comes naturally to me. I am an expert bowler. Bowling is fun and exciting. I always follow through with a powerful release. I have a relaxed grip and a free swing. I always see the line in my mind when I bowl. I have a relaxed grip and a free swing. I have a steady head and good balance. I am calm under pressure. I am confident bowling in tournaments. I am always positive. I make spares easily. I always bowl my best. This is a subliminal MP3 download. After payment go in to the e-mail address that you used on the payment page and download the file. If you typed wrong your e-mail addresses (In case you don’t pay with pay pal or Google) please contact us to resend to you the download. Many people type wrong the address then get frustrated with us. The e-mail with you download link is automatic we do not have control over it.